What are each of the documents for? Learn what each of the documents in Current RMS is used for. 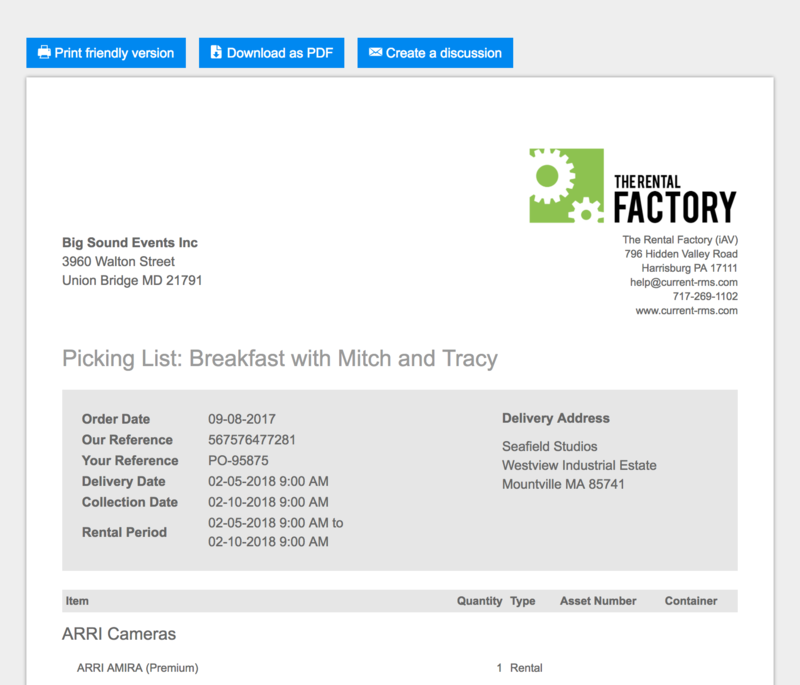 There are a bunch of documents available to print in Current RMS to help with the daily operation of your rental business. If you’re new to rental software, you might not be familiar with all of the documents included with Current. In this guide, we’ll run through some common documents and why you might use them. A quotation is document that you give to a potential customer detailing the products and services that you may supply to them and the cost. You might also call it a “proposal” or “estimate,” although in some territories these may have slightly different meanings. 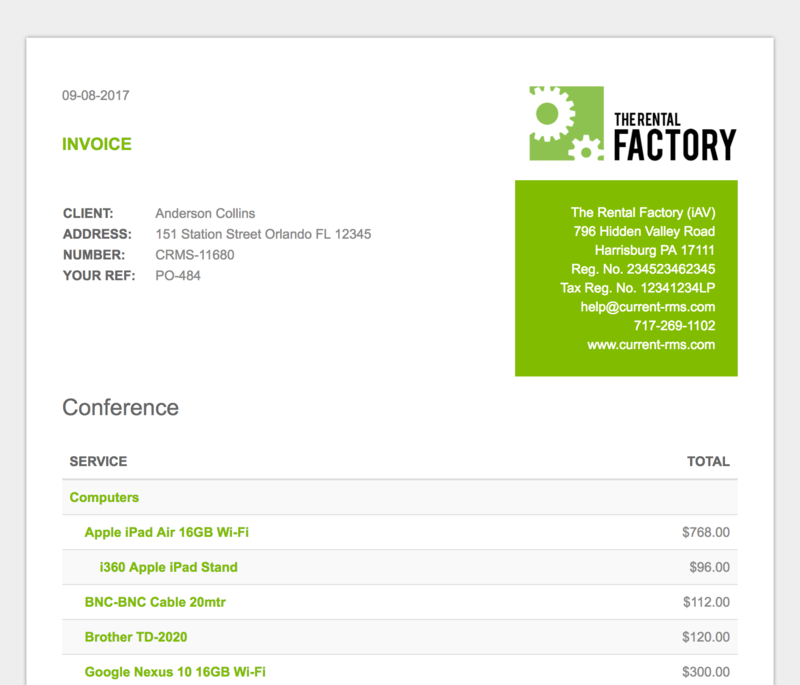 “Quotation” and “Quotation Layout 6 (detailed)” provide a breakdown of each line item and cost. “Quotation Layout 5” show totals for groups, but not line items. 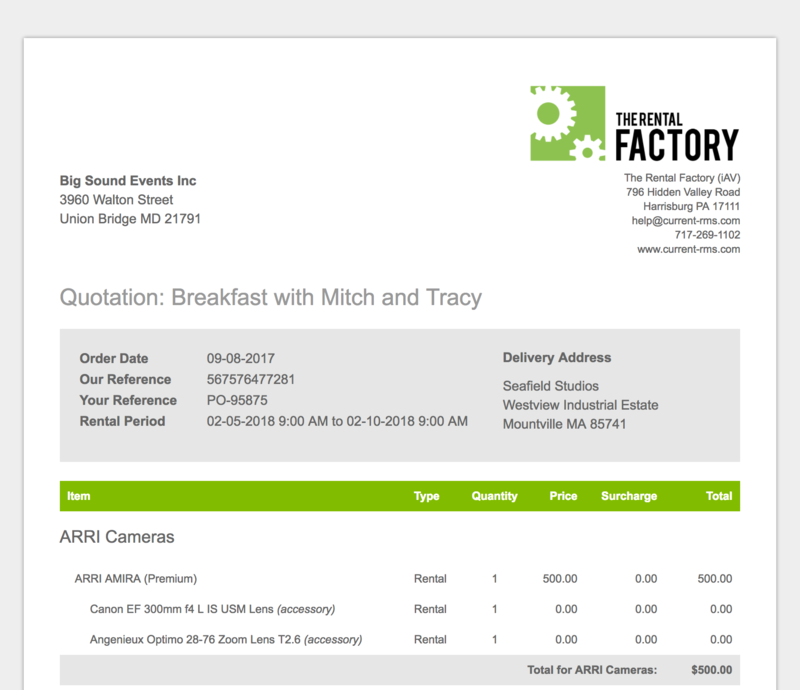 “Quotation Layout 1” includes product pictures, so you can show your potential customer what you’ll deliver. A rental agreement provides a summary of the goods and services that you are suppling, along with a space to capture a signature. You might hear it called a “Rental contract” or “Hire contract”. You might like to add terms and conditions to your rental agreement too. 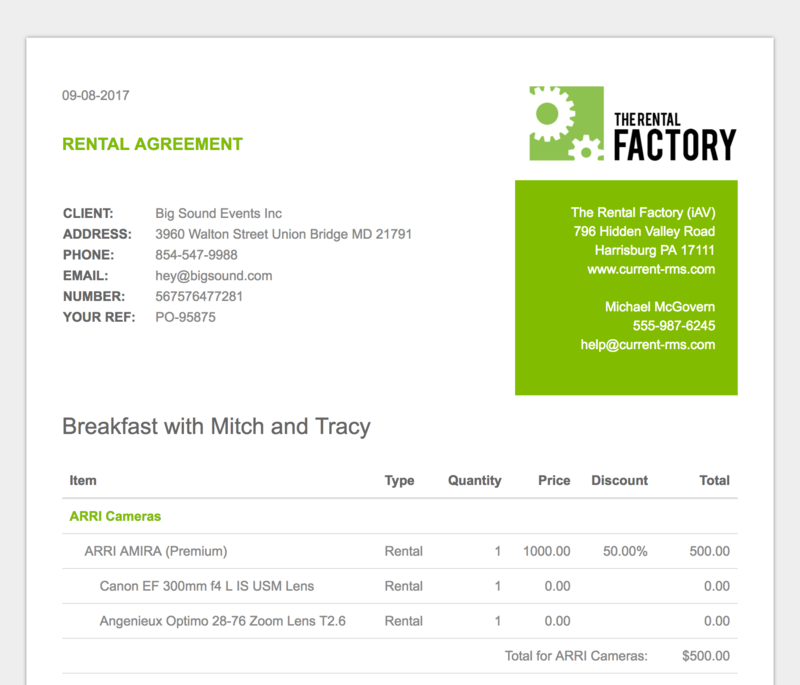 Edit your rental agreement in System Setup > Document Layouts to do this. When delivering goods, often you’ll want to provide a document that details what was delivered. 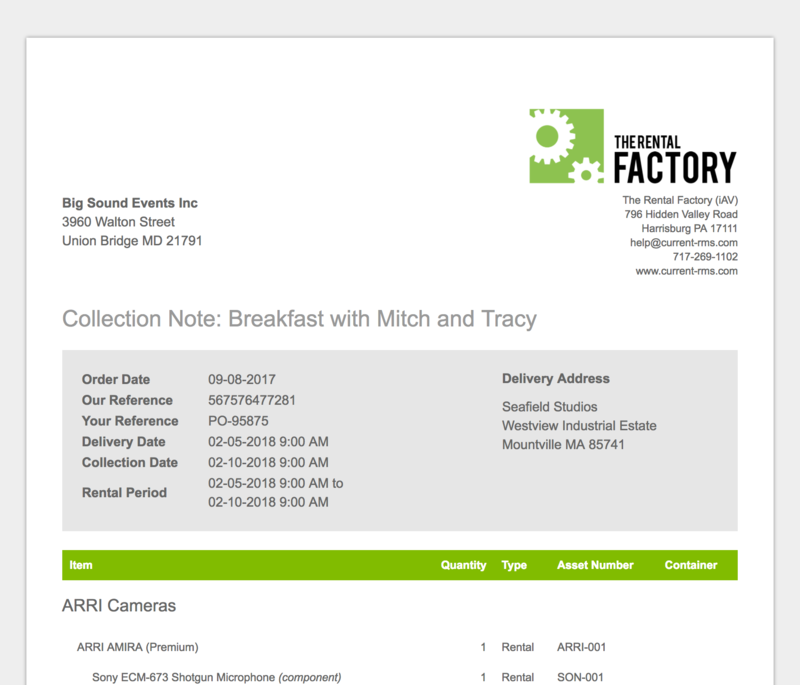 A delivery note lists all of the products delivered (not services) and provides a space for your customer to sign to confirm receipt of the items in good condition. They’re sometimes called “Despatch Notes” or “Goods Receipts”. 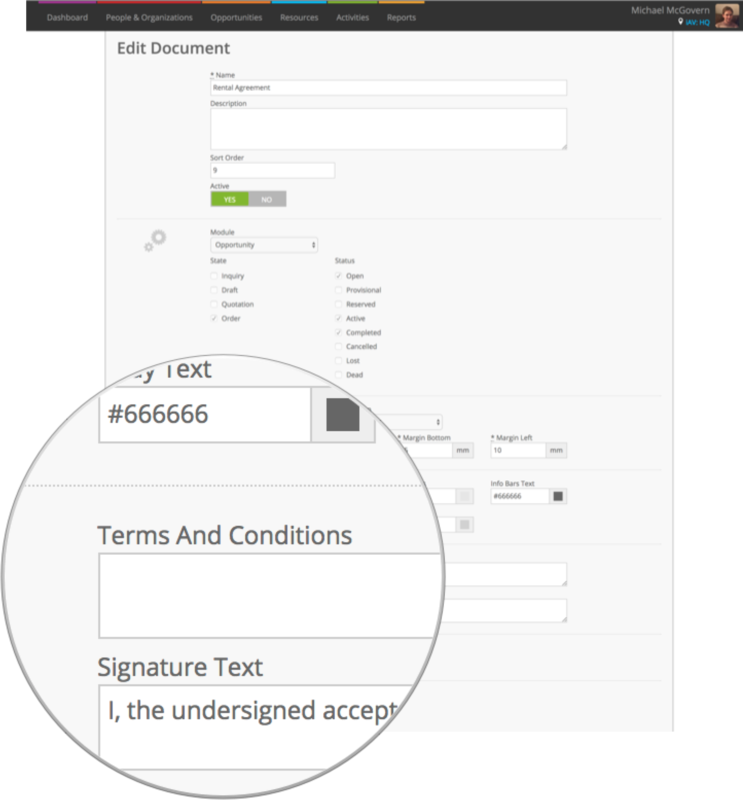 Enable document approval or our Adobe Sign integration to capture signatures on a tablet or other device onsite. When picking up goods, you can supply a collection note that details what you need to pickup. You might also call this a “Pick Up Note”. A picking list is a document that you can print for your warehouse staff to let them know which products to pick and prepare for an opportunity. Depending on your industry or region, you might call it a “Picking ticket”, “Prep Sheet”, “Load List”, “Pull Sheet”, or “Bump out sheet”. The detail view in Current RMS is a kind of on-screen picking list that you can use if you’d rather work paper-free. You can scan to allocate, prep, book out, and check-in gear. If multiple people are pulling the same job, you can even see their scan operations in real time on your screen. An invoice is a demand for payment for goods and services that you have supplied. Once issued, invoices are legal documents for auditing purposes, so you can’t delete them. A credit note is essentially a negative invoice – it reduces the amount your customer owes you for some or all of an invoice. The services sheet provides a breakdown of all labor, transport, or space bookings added to a job. It includes the times and contact information of staff members. A list of all sub-rentals on an opportunity, along with the suppler. While sub-rentals are listed on the picking list, this document is great for making sure that all sub-rented gear has been accounted for. 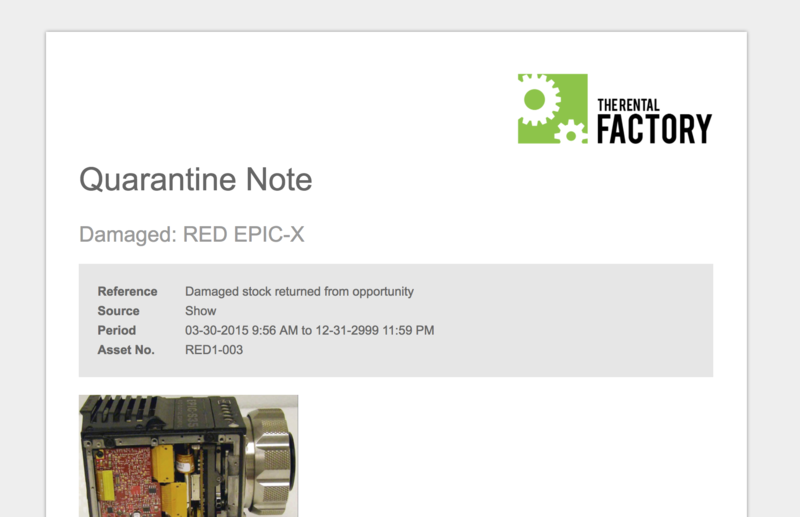 Available to print from quarantine pages, a quarantine note provides details of a quarantined product or asset. If you attach pictures to the quarantine note, they’re included on the document. You might like to send this your client for reference if they damaged your kit, or print and stick it to damaged gear in the warehouse. 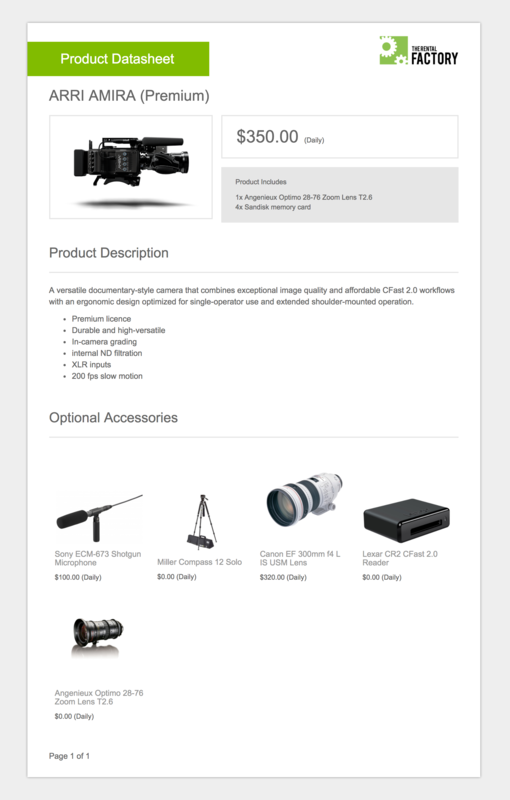 A document that provides a quick overview of your product, its accessories, and pricing information. You might print these and stick them to shelf edges in your warehouse, or provide them to customers who want more information about your product.